Here is a 12x12 scrapbook page layout that I did using Cricut cartridge "New Arrival". I cut out the "It's a Boy", baby feet, bottle, and the onesie. This is an older cartridge but I still really like it. I first cut a shadow of each of the images then the original cut. I used little ink around the edges for a little extra effect. Paper used was just misc that I had. Just have to add couple pics! Have a great Saturday! 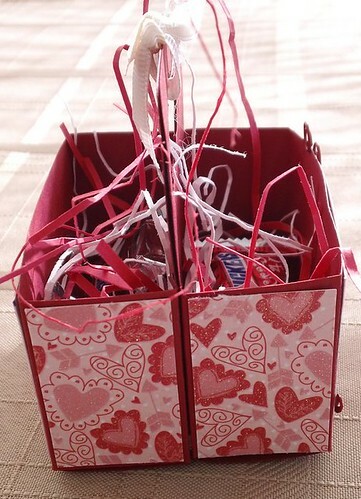 Here are my little Valentine's Treat Boxes. This little box matches the Happy Valentine's Day card that I created a post below this one. These cute boxes are created from the Stampin Up Big Shot #2 die. I saw this on (Angie) Chic'nScratch blog and just had to create some of these for Valentine's. You can view Angie's video on how to create these here. 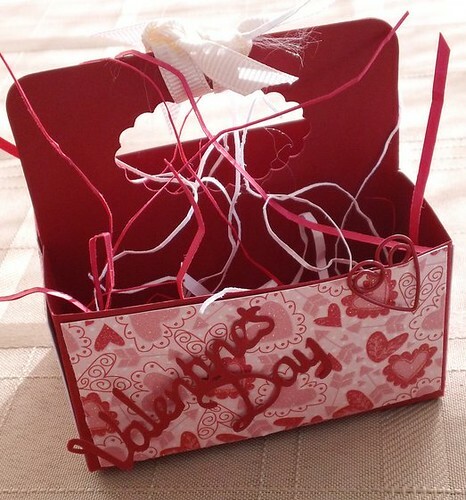 I used DCWV glittered paper, red cardstock, Valentine's Day cut out from The Slice. I just cut some red and white cardstock and just scrunched it all up. Thanks for stopping by. Dustin Pike has a very cute monkey Valentine Digital Image and the best part is it's a freebie you can get image here! I love his digital stamps! So talented. 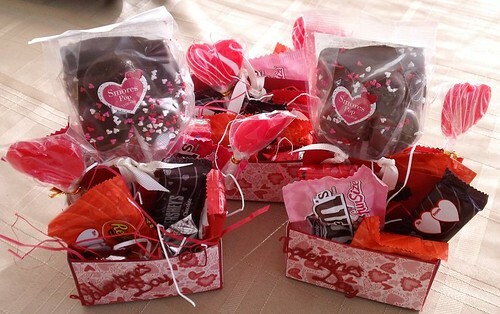 I created some Valentine treat boxes today just finishing them up and should have picture up tomorrow. Wow, its been awhile. In October I delievered a healthy boy and he is now almost 4 months old. Time flies! 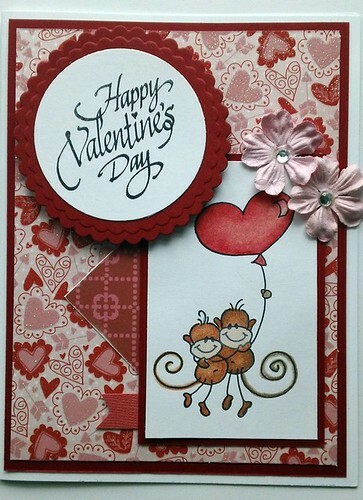 He sure is growing fast ok here is a Happy Valentine's Day "Changito" Handmade Card I created. I love Changito stamps. 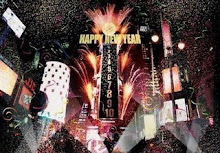 In creating this card I used Mojo Monday Sketch #177. I used prismacolored pencils with gamsol in coloring the image as well as spellbinder round and scallop die. I used paper from DCWV "The Sweet Stack" and "Doodlin Around". Red cardstock, prismacolored pencils were dark brown, terra cotta, light peach, and crimson red. I used gamsol to blend. Added a couple pink prima flowers and some bling. Lastly the stamps used were from Stampendous Changito's Love Balloon and Happy Valentine's Day. I just love the Stampin'Up Fancy Favor Bigz XL Sizzix Die! Perfect for treat bags for the holidays, birthday parties, weddings, and showers. 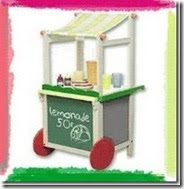 I have used the Stampin' Up fancy favor sizziz die thru my cuttlebug. I used black cardstock, orange ribbon, and these cute Halloween Pumpkin and Friends Cardstock Die-Cuts from K&Company. One side of the die cuts are glittered. I used pop-ups to give some dimension. I was surprised as how much candy these little boxes can hold. Have a great Sunday! Found this wonderful blog "Free Digital Stamps All in One Place" that offers free digital stamp images. The blog owner Alison owns this blog and the digital stamp images come from a variety of amazing artists and blogs. DoodlePalace is giving away some great blog candy. This candy is available for both US and non-US addresses!!! The winner will be announced Friday, May 14, 2010! Go visit DoodlePalace for a chance to win basic grey goodies.